Do you struggle to dry your dog’s paws after a morning walk? 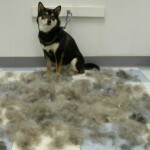 Is drying your pet after a bath both time-consuming and difficult? Are you tired of muddy paws on your furniture? 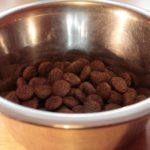 We experienced these issues with our dogs, which led to purchasing the Soggy Doggy Super Shammy. Here, the Soggy Doggy Super Shammy will be reviewed. 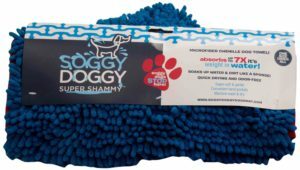 The Soggy Doggy Super Shammy is a large (31’’ x 14’’) microfiber towel. 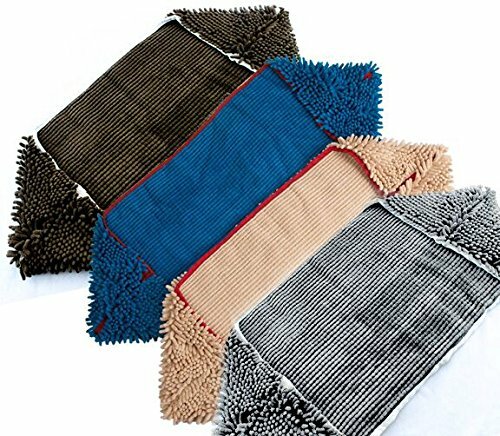 Covering the towel are additional microfiber nodules that increase the shammy surface area, resulting in extra water absorbance. In fact, the manufacturer claims this towel can hold up to 7 times its weight in water. This towel is great for wiping off muddy paws, since dirt and debris cling to microfiber more readily. Additionally, the towel has hand pockets that improve your dog drying ability. The Soggy Doggy Super Shammy is washer and dryer safe, adding to its convenience. This product is perfect for anyone who bathes his or her dog at home, or whose dog frequently has muddy or wet paws. We purchased two of these towels and use them daily after morning walks. This shammy works wonderfully after a bath, after getting caught in the rain, after a trip to the dog park, or when our dog has been swimming in a pond. The Soggy Doggy Super Shammy can find utility in any home, even for owners who do not take their dogs outdoors frequently or do not bathe at home. The Soggy Doggy Super Shammy is very useful for cleaning up after pet accidents, such as puddles in the house, especially because it can quickly be cleaned in the washing machine. The advantage of this product is the impressive water absorbance. One towel is sufficient to dry a 30 lb medium-hair dog or a 70 lb short-hair dog. Unlike other towels, the Soggy Doggy Super Shammy does not leak water once it has become saturated, which helps to eliminate messes. The hand pockets make drying your dog easy, especially on his or her belly, legs, and feet. The towel is also very soft, which must feel nicer on a dog than a rough rag. Additionally, unlike hand towels the Soggy Doggy Super Shammy does not develop a “wet dog” smell. The biggest limitation to this product is that you must continue to find dry areas on the shammy in order to dry your dog. Once an area on the towel becomes saturated it will not absorb more water, so the towel should be turned inside out to improve its drying capability. Despite the hand pockets, you are likely to wind up with wet hands. Products that are similar to the Soggy Doggy Super Shammy are the Soggy Doggy Doormat, the Mugzy’s Mutt Towel, and the Pet Towel. Each of these products has 4.5 stars on Amazon. Ultimately, I highly recommend the Soggy Doggy Super Shammy. After 3 years, our original towels are still in excellent condition, despite daily use and frequent washings!